Iowa State senior Kyle Kempt is one of 26 quarterbacks named to the 2018 Davey O’Brien Award watch list, announced today by the Davey O’Brien National Selection Committee. The Davey O’Brien Award is given annually to the nation’s best quarterback and is named after the 1938 Heisman Trophy QB from TCU. 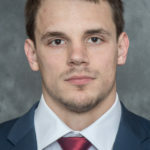 Kempt, a former walk-on, emerged as ISU’s starter in the fifth game of the 2017 season and directed the Cyclones to a victory in the Liberty Bowl. Kempt was 5-3 as a starter, including two wins over top-five opponents (Oklahoma, TCU). In just eight games played, the Massillon, Ohio native broke ISU’s single-season completion mark (66.3) and tossed 15 TDs to just three interceptions, tying for fifth on ISU’s season TD pass chart.